Semiya Payasam/Vermicelli kheer is a yummy dessert loved by all. 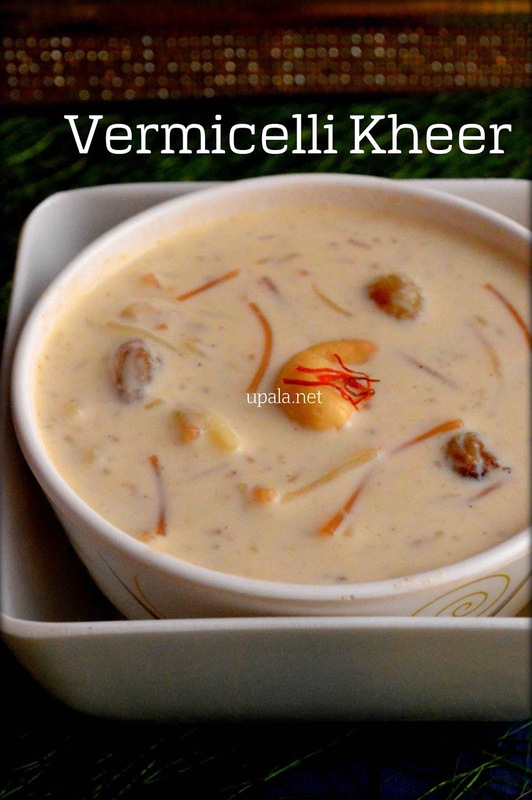 Earlier I used to prepare the vermicelli payasam with out condensed milk. In a marriage reception, I tasted this kheer and it was so creamy and delicious. Immediately, I got the recipe from the chef and tried the same at home. The semiya payasam came out so well and grabbed loads of appreciation to me:). 1) Heat ghee in a kadai and add Cashews and fry till light brown. Next add Raisins and fry till thye puff up. Transfer the fried cashews and raisins to a bowl. 2) In the same Kadai, add Vermicelli and fry continuosly in medium flame till it turns golden brown. 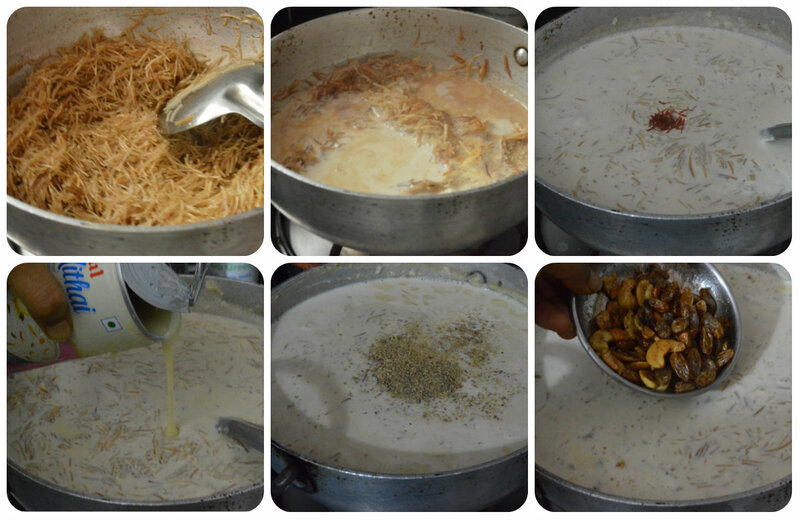 3) Now pour Milk and cook the vermicelli in medium flame. 4) After Vermicelli gets cooked in milk, add Saffron and mix well. Saffron gives nice colour to payasam. Next add Condensed milk and mix again. After adding condensed milk, payasam will start thickening. 5) Finally sprinkle Cardamom powder, add the fried Cashews and Raisins and switch off the flame. 1) Instead of cooking Vermicelli in milk you can also cook in water completely and add less milk finally. I prefer cooking in milk as it gives richness to payasam. 2) I have skipped adding sugar as condensed milk already have sugar. 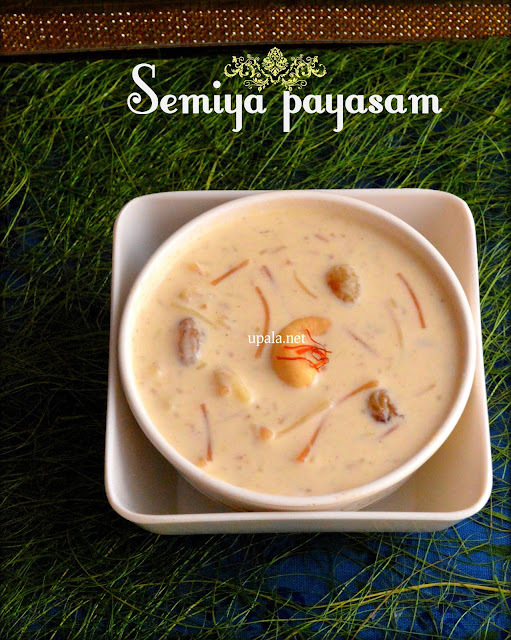 Condensed milk gives added richness to payasam. If you need more sweetness you can add sugar in addition to condensed milk. In case if you are skipping condensed milk, add sugar accordingly.